Not My Job: The Blue Man Group Turns 25 Since the Blue Man Group is famously silent, we invited group co-founders Chris Wink and Phil Stanton to answer three questions about people who have a lot to say. Originally broadcast June 11, 2016. Since the Blue Man Group is famously silent, we invited group co-founders Chris Wink and Phil Stanton to answer three questions about people who have a lot to say. Originally broadcast June 11, 2016. Our show is 20 years old this year. But we are but a stripling - a doe-eyed fawn compared to the Blue Man Group. That show began in 1987 and is still playing in five cities across the U.S. and on tours around the world. BILL KURTIS: Still, when we talked to Blue Man Group founders Chris Wink and Phil Stanton, we had to ask them what the hell it was. CHRISTOPHER WINK: Well, we had a bunch of interest in things like design and science and comedy and drumming and music. And we knew we would never get a job that combined all those things. So we actually started doing this as a labor of love and performed for our friends or in parties or in weird places that would have us. And we would get bald and blue and sometimes just walk around and see what happened. SAGAL: Wait a minute. You would walk around New York City bald up and painted dark blue? WINK: Yeah, it was kind of a social experiment. We would walk outside, and it was fun to get out of our own personas and see how people reacted. There was usually three reactions. It was either no reaction, they would get angry or they would get really excited. FAITH SALIE: In the origin story. BABYLON: In the origin story - like, nothing? PHIL STANTON: Well, we should make up a fake story that does involve drugs. But it was remarkably dry. Believe it or not. WINK: ...The experimenting phase had already been. SAGAL: Because drugs are expensive and blue paint is not. WINK: Our show is a drug, man. SALIE: So guys, when did the blue come in? WINK: Well, we needed some sort of equal-opportunity alienator. WINK: Yeah, gimmick - we did a gimmick. We wanted to shock punk rocker, hip hopper, Wall Streeter, you know, housewife. We wanted to be equally other and also equally kind of compelling to each of those. SAGAL: When you were developing the show - I know you have a lot of pretty elaborate bits - did you ever try anything that totally failed? STANTON: Oh, all the time. WINK: One night, just as we got to that big finale in the show - everything goes crazy - the sound went dead. And it was silent. And there's all these lights flashing, but there was not a sound. And we just were like, what are we going to do? And the audience just thought it was a weird choice. STANTON: They just kept dancing anyway. SAGAL: Then they had, like, this silent thing, and it was amazing. You guys could use that. You guys, like, walk into people's houses and take their food and stuff. And people would be like, wow, cool art. WINK: When we first - we didn't say that. When we first would go around, we would go to bars. And people would always buy us drinks. We'd just go to the bar and sit down. And people would come up to us and go you guys are weird. I'm going to buy you a drink. STANTON: OK, there's no drugs, but there was a little bit of alcohol. KURTIS: I Have A Few Thoughts I'd Like To Share. SAGAL: So the Blue Men famously say nothing, so we thought we'd ask you three questions about three people who had a lot to say. Answer two of these three questions correctly, you'll win our prize for one of our listeners - the voice of anyone they may like on our show on their voicemail. Bill, who are the original Blue Men playing for? KURTIS: Steven Vandyke of Lansing, Mich.
SAGAL: ...B, a half-hour, a solid 30 minutes, of applause; or C, a series of Western commercial jingles which Stalin claimed to have written? WINK: ...The commercials because they were into trying to, you know, explain that commercials were the American equivalent of propaganda. STANTON: Yeah, I'm just - that's what I was going to choose, too. But I should go with something else just to be contrary, right? WINK: Well, OK, what are the other options, applause? STANTON: I think he might've sung the whole side. STANTON: I'm going to go with the folksongs. WINK: ...Are the more interesting answer. WINK: But I think he probably did the folksongs. STANTON: I don't know. Think about it, you know. SAGAL: I can understand why it was important for you guys never to talk when you collaborated. WINK: We've got a make a decision. Look at all the answers. SAGAL: So you've got to make a decision. What's it going to be? STANTON: They tried to steal from us, though. They tried to claim that they were the first in space. Oh, I guess they were. WINK: I think he's right. SAGAL: So what is it? WINK: I think we're going to go with the songs. WINK: The American, you know, propaganda jingles is a kind of interesting thing. WINK: But I don't think it was that smart. SAGAL: So you started with the jingles. But you're giving up the jingles, and you're going with the songs. Is that right? WINK: Yeah, we're going with the songs. SAGAL: You were both wrong. It's the applause. WINK: Oh, my gosh. That's impossible. SAGAL: He put out this incredibly long speech on vinyl records. SAGAL: And there were four records. And like the first seven and a half sides were his speech, and the last side was just half an hour of applause. WINK: Wow, that's pretty cool. SAGAL: The sort of things you get to do if you're Stalin. All right, you have two more chances. The record for the single-longest speech in the United Nations General Assembly is held by Krishna Menon of India. He did it back in 1955. His speech lasted for almost eight hours despite what happening? A, his Pakistani enemies releasing a hundred pigeons into the room in the middle of it; B, Mr. Menon collapsing and getting hospitalized halfway through the speech; or C, him really, really, really having to go to the bathroom for the last three hours of it. WINK: Well, if the pigeons were released, that's pretty cool. WINK: How did they get them past security? I feel like we should vote - can we vote - I feel we should vote for the pigeons just because if you pick that and base this question around that, then that's good on you. If you picked it on the bathroom one, then that's bad on you. STANTON: I'm going to pick the pigeons because that's what I'd do. SAGAL: So you guys are amazing because the second time in a row you devoted all your attention to the two fake ones. SAGAL: ...Was brought back to finish the speech under a doctor's supervision. WINK: And there hasn't been a movie about it? SAGAL: ...And fled the room; or C, the resonant vibrations from his shouting caused the podium in front of him to shatter. WINK: Ooh, that would be pretty epic. WINK: But that's kind of a - you know, an urban myth, you know, that whole opera-singing thing breaking a glass. WINK: That doesn't really happen. STANTON: Careful, Chris, it's probably the right answer. GROSZ: The right answer's going to be the one you guys don't talk about. So pick your top two and then pick the other one. STANTON: What was number one again? SAGAL: Number one was 15 people in the audience fell into a coma. STANTON: Oh, that's not possible. STANTON: That doesn't seem plausible. SAGAL: The second one was his own translator shouted, I can't take it anymore and fled the room. WINK: I love that one. STANTON: It's got to be two, right? WINK: Yeah, it was number two. SAGAL: You agree. And you did get it right. That's what happened. SAGAL: In the middle of the hour, forty-minute speech, the official Arabic translator just couldn't take it anymore, shouted that and fled the room. Bill, we have to get the official score. How did Chris and Phil do on our quiz? KURTIS: Well, Chris and Phil kissed many frogs and finally found their prince. They got one right. SAGAL: Yes, well, you did get one right. SAGAL: So I have to ask. Twenty-five years - congratulations - is there going to be a second show from you guys, I mean, other than more different iterations of Blue Man? WINK: You know, we actually are working on some new things right now for real. And some of them are very different ways that the Blue Man character can be in a show. And others are shows that don't even involve the Blue Man character. STANTON: No one on stage. BABYLON: No one on stage and no music playing. SAGAL: You know, I would watch just you two guys arguing - just so you know. STANTON: The no man group. SAGAL: No man group - Chris Wink and Phil Stanton are two of the founding members of the Blue Man Group, which is celebrating its 25th anniversary this year. Chris and Phil, thank you so much for joining us. SAGAL: When we come back, we talk to one of the most famous married couples in the world - separately. Maybe they'll dish. 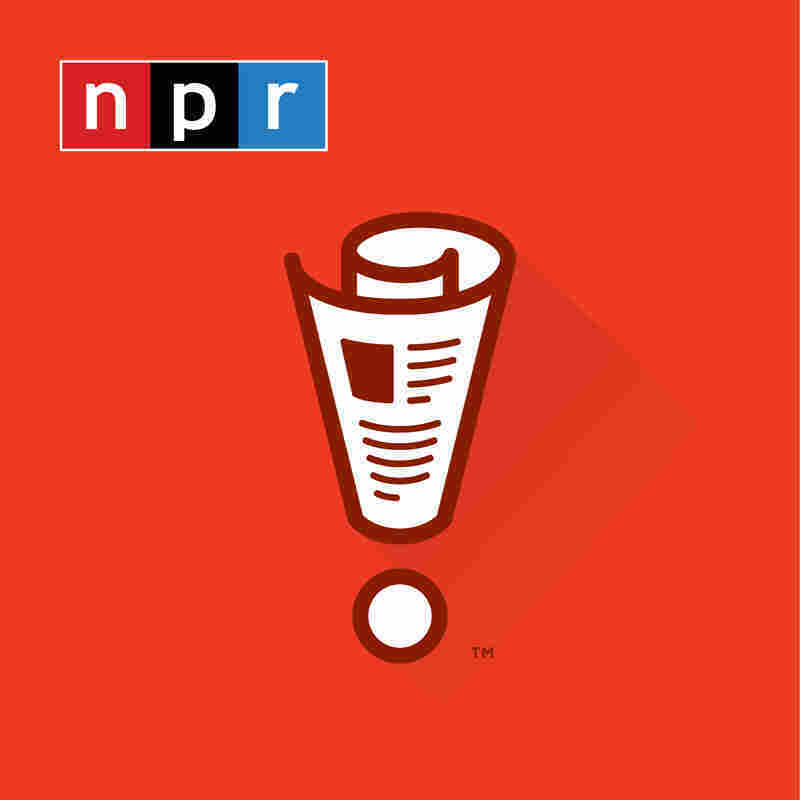 We'll be back in a minute with more WAIT WAIT... DON'T TELL ME from NPR.